30/03/10 - Development around Darwin’s mangrove regions is having an adverse affect on mangrove bird populations, according to research by a Charles Darwin University PhD candidate. 25/03/10 - Darwin could become Australia’s Mecca for spiritual tourism, according to a Charles Darwin University academic. Nominations are open for the 2010 Northern Territory Training Awards that recognise high standards of training and personal achievement in the Vocational Education and Training (VET) sector. 24/03/10 - World-renowned Jazz musician Jacám Manricks will be conducting Jazz Workshops at CDU on Thursday March 25, from 7pm to 9pm, and Friday March 26, from 11am to 1pm, at the CDU Theatre, Building Orange 3. 24/03/10 - Issues and best practice surrounding Indigenous ecological knowledge will be the focus of a forum at the Museum and Art Gallery of the Northern Territory tomorrow (Thursday). 23/03/10 - The lucrative market of spiritual tourism will be discussed tomorrow (Wednesday) by a leading Northern Territory business identity. 22/03/10-A specialist in quality assurance in the higher education sector is about to join the senior staff of Charles Darwin University. 17/03/10 - An alliance between The Australian National University and Charles Darwin University has been established to boost the nation’s collaborative research linkages and increase access to higher education for regional and disadvantaged students. 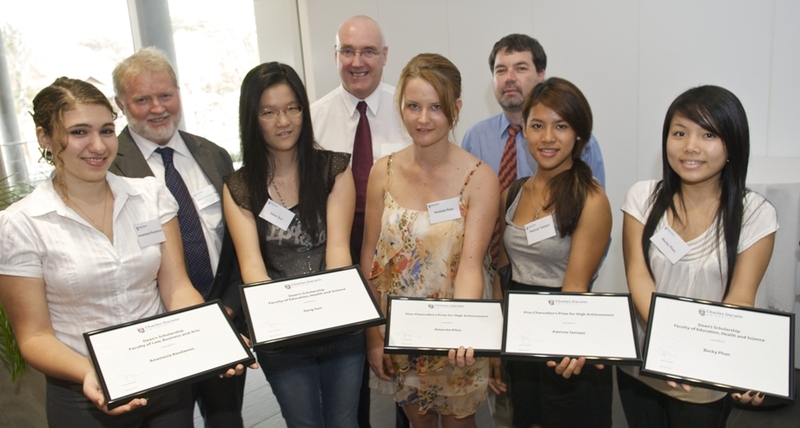 15/03/10 - The brightest of this year’s Charles Darwin University student intake were awarded at a ceremony recently with scholarships worth up to $21 000. 15/03/10-A team of CDU Horticulture students has left a mark to last a lifetime after planting more than 50 edible native bush tucker and tropical fruit trees with Alawa Primary School staff and students. 15/03/10 - Charles Darwin University and Hainan University in China will explore ways they can influence key issues in the global tropics during a joint symposium in China this week. Graduates seeking employment can expect many more opportunities in 2010, according to findings from the 2009 Graduate Outlook Survey. 04/03/10 - A group of high school careers advisors will learn about the Northern Territory’s Medical Program during an information day at Charles Darwin University (CDU). 03/03/10 - A Territory car expert is urging motorists to get their vehicles up-to-scratch now to avoid tragedy on the roads this Easter.